I finished Navigator Dhalsima at the beginning of January 2016 after many many redesigns so now he looks horribly malformed and just a little Cthulhu-esque. 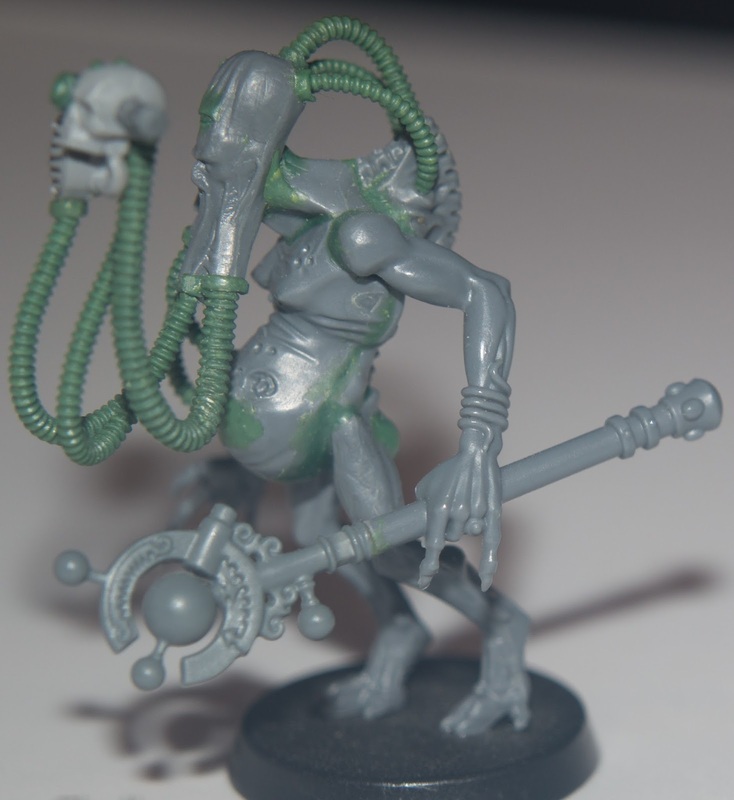 Dhalsima also completes Iacomus's coterie for the moment as I've yet to build The Torn Prince and even sit down to design a sixth (and final) member. It also means I might be quiet for a while as I have several projects being worked on, but nothing either completed or photographed yet. Dhalsima Chakrasamvara was the first born son of the sixty-eighth generation of navigator house Chakrasamvara from an unnatural intra-house procreation, thus when he slithered from his mother's womb, the attendants beheld him as an utterly twisted creature unfit for service in the name of the House Chakrasamvara and was subsequently locked away from all eyes in the secret dungeons of the central mansion. Four decades later, the fall of House Chakrasamvara for dangerous genetic instability and malpractice resulted in the destruction of the entire bloodline by the fiery sword of the Inquisition. Some time after the agents of the Inquisition had finished razing the opulent dwellings of House Chakrasamvara to the ground, it was Iacomus, drawn to this location by sorcerous means, found the hidden dungeons beneath the rubble and within, the silent wretched form of Dhalsima. 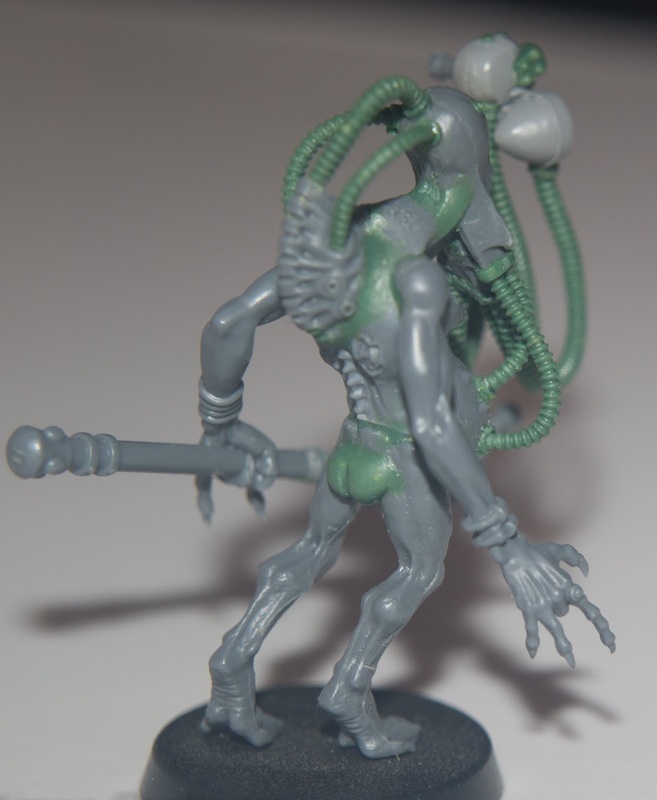 SUblime, this head is one of my favourite of the spawn sprue and it's in perfect use here ! Wonderful ! Oh jeez, I adore this! So sublimely creepy as hell! 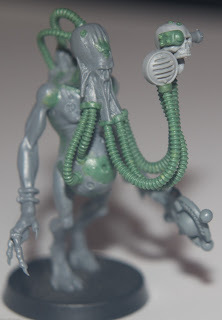 I'm a huge Lovecraft nerd, I need to build a homage to this figure!